Updated Friday July 27, 2018 by Jill Fulginite. 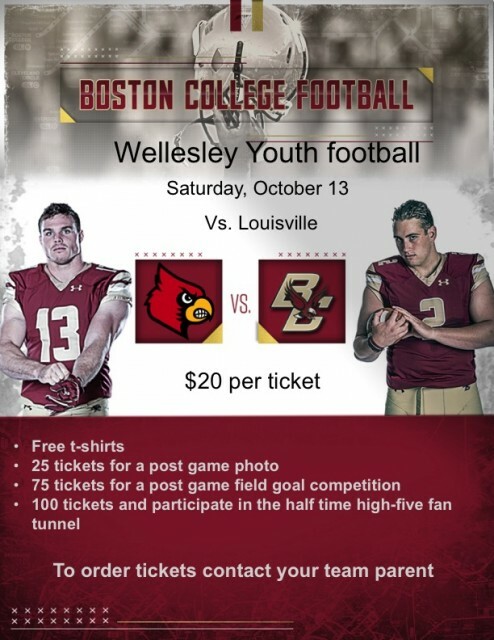 Wellesley Youth Football Day: Boston College vs. Louisville!! Contact your team mom to order tickets by September 1st.